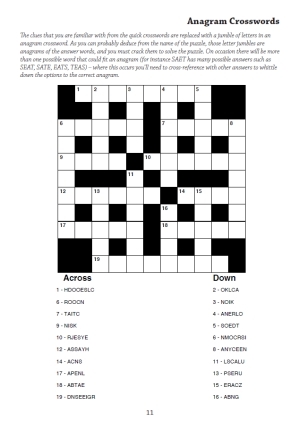 Welcome to our ultimate crossword collection! This book contains an astonishing range of over 30 types of crossword variant , from the most common of all crosswords - the quick crossword - through to other familiar favourites such as the general knowledge and cryptic crossword, together with a mix of quirky and entertaining variants that are rarely seen in print or brand new for this remarkably diverse collection. All of which makes it a must for crossword fans and puzzle enthusiasts generally. The book contains over 100 puzzles in total spread across the different types. Every time a new crossword variant is introduced, a clear explanation of what the puzzle type is and how to play it is given. 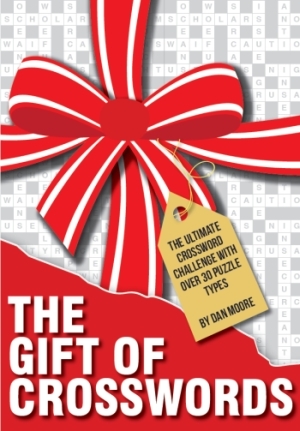 Depending on the puzzle type the introduction might be short and snappy or much more detailed - the cryptic crosswords have an introduction several pages long in order to explain the various different clue types you might encounter. Solutions for every puzzle are included at the back of the book, together with further explanations as necessary (all cryptic crossword answers are explained in addition to simply being presented with the solution grids). We hope this unique collection will provide you with many, many hours of satisfaction and crosswording fun! The book of Ultimate Crossword Mix is available to purchase right now from Amazon.co.uk. Below is the link to amazon.co.uk.